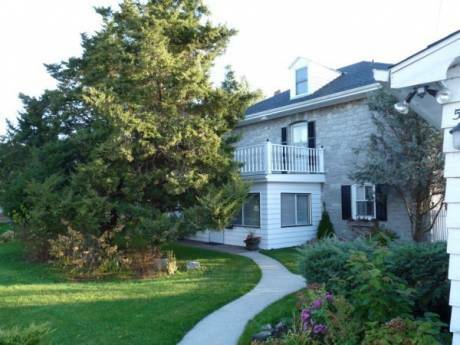 Exclusive luxury 5th floor condominium in garden setting facing south on Lake Ontario. 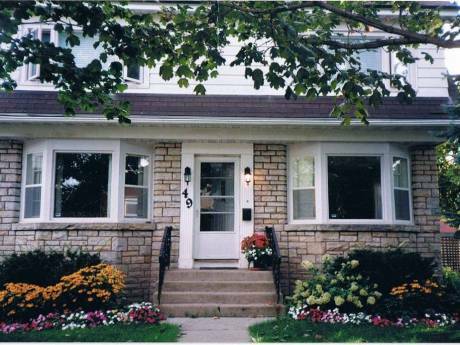 Two minutes walk to beaches, park, golf course, picnic area, walking trails. Spectacular views. Sunrise and sunset seen from balcony. Two bedroomsâ¦one with queen bed, en-suite Jacuzzi and 4 piece bathroom, one with twin beds and adjacent 4 piece bathroom. All modern appliances including washer and dryer, stove and fridge, microwave and all small appliances for modern eat-in kitchen. Large screen TV in living room, 27 inch TV in master bedroom. Two VCRâs, two DVDâs and two computers connected to internet, 24/7. Air conditioning and fans throughout. 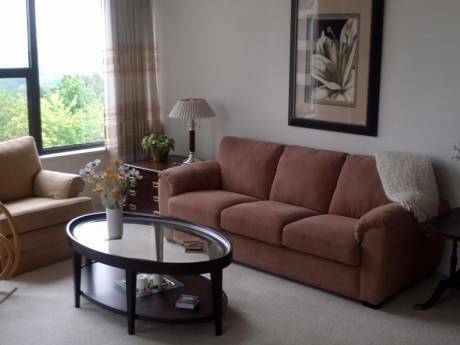 Condo amenities include; a security system, underground parking, indoor and outdoor pools, hot-tub, sauna, exercise room, games room and tennis court. There is a bus stop at the front of the building. We are a retired professional couple. I am Wally, an ex military officer. My wife, Mari, was a school teacher. We have traveled extensively and some years ago realized the pleasure and convenience of Home Exchange. We welcome all contacts. We are extremely flexible as to dates and length of exchange. We have much to offer and we are experienced Home Exchangers. References available. Kingston is an historic, but modern, small city on Lake Ontario. It is famous for Queenâs University, Royal Military College, Fort Henry and an Olympic Harbour. Kingston has several live theatres and cinemas, a wide variety of museums, historic sites, two cathedrals, many churches, antique shops, flea markets, art galleries, several shopping centres, exclusive downtown stores and a plethora of gourmet restaurants. Easy travel by air, train, bus or car to Ottawa, Toronto, Montreal, Niagara Falls or the US. The 1000 Islands National Park is minutes away with many boat tours available. A Charity Casino is less than 30 minutes away.